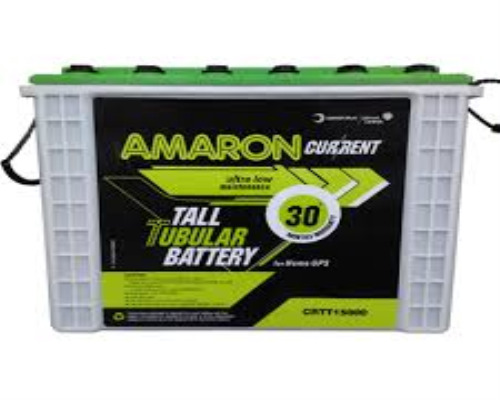 Amaron Current CRTT 15000 Tall Tubular inverter battery is a High Quality Inverter Tall Tubular battery from Amaron. Technologically advanced, Amaron Inverter Tall-Tubular battery requires zero-maintenance. High heat tolerance capacity makes it perfect for Indian weather conditions. Factory charged, has highest reserve capacity and is vibration resistant. Approx. 32.00 lb dry weight. Brand category is Amaron inverter battery.